KOLALY has expanded its profile to offer new solutions to keep pace with the fast moving technology world, KOLALY fully dedicated pre-sales team will help you choose and build the best solution you need. kOLALY Team has performed successful solutions meet needs from solution selection, planning and design, to customization, configuration, implementation, training, and ongoing support. Deep industry-specific experience and expertise. Prepackaged solutions that close the gap between standard capabilities and your company's unique needs. Strategic relationships that help you grow and evolve efficiently. Palo Alto Networks are the leaders of the next-generation firewalls, virtual firewalls and network security management. KOLALY's team can help customers gain visibility and control of the applications, users, and content traversing their networks with the understanding that the firewall is the most strategic component of the security infrastructure and that it requires continuous, non-stop monitoring. KOLALY offers you solutions to manage your firewall deployments in a manner that is most effective for you and your security team. KOLALY wants to help customers achieve the best network security services from Palo Alto Networks and get more functionality, value and performance out of next-generation firewall. KOLALY is approaching the networks platform field with Arista which delivers software-driven cloud networking solutions for large data center storage and computing environments. Arista's award-winning platforms, ranging in Ethernet speeds from 10 to 100 gigabits per second, redefine scalability, agility and resilience. Arista has shipped more than five million cloud networking ports worldwide with CloudVision and EOS, an advanced network operating system. 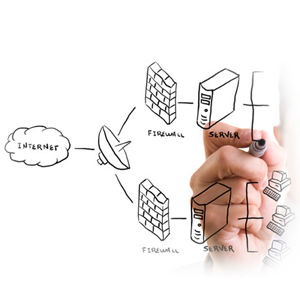 KOLALY offers to its customers: configuration, implementation, training, and ongoing support. Arista's customer testimonials show that it is the future of switching and we at KOLALY are keen to complement our solutions with a new cost effective range of products that will have a future impact in cloud and software driven networking. KOLALY wants to simplify your IT infrastructure as you create a more dynamic and flexible datacenter with VMware's proven server and datacenter virtualization solutions built on VMware vSphere, the industry's leading virtualization platform. KOLALY ensures continued IT innovation while meeting enterprise application SLAs and increase time-to-market for application provisioning and upgrades.